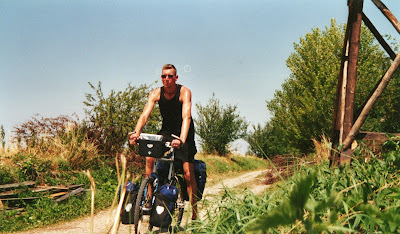 In Juli 2003 I did a cycle trip in Germany following the 'Hanse route' trail from Lübeck till the north of Rügen. At the end of the trip back in Rügen I rented kayaks for one day with a friend who lives there, Christoph. By then I was more focussed on cycling but this was probably the start for serious thinking about making trips with a kayak. I scanned these photo's therfore the quality isn't too good. Click here to see the photo's.